Every time my daughters asked me for a sunny side up for breakfast I feel frustrated already. Why? It is because it usually sticks on the pan and that results to scramble eggs for breakfast instead. Most of us experience that it needs to end right here, right now. This frustration is why we are going to discuss red copper pan reviews today. Trust me, these pans will help! We are lucky because there is now a new evolution in cooking wares. Let's take another step towards excellent cooking and introduce the this fantastic infused copper pan. What makes it special? It is a non stick copper-induced Pan bonded with ceramic pieces making it unique among other non-stick brands. This combination of copper and ceramics makes it more efficient in cooking without the nightmares of sticking and hard cleaning. If you are curious about our favorite choice of these pans, you can see our reviews below. 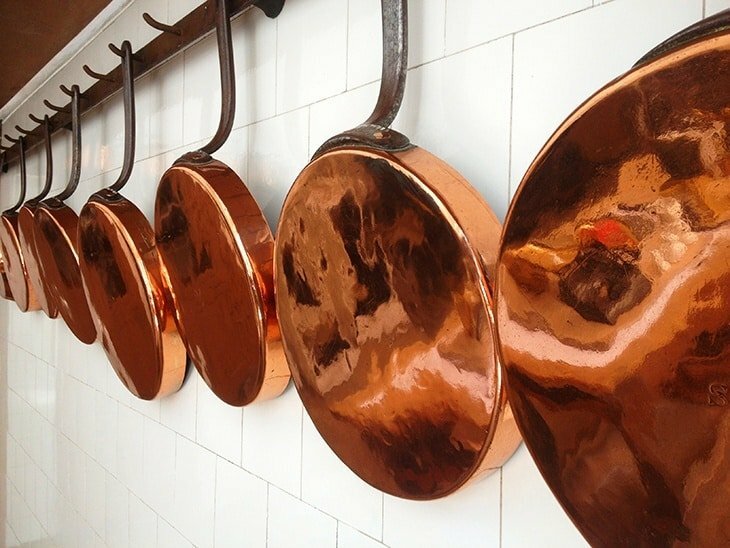 We also cover some hot Q&A about these red copper pans too. 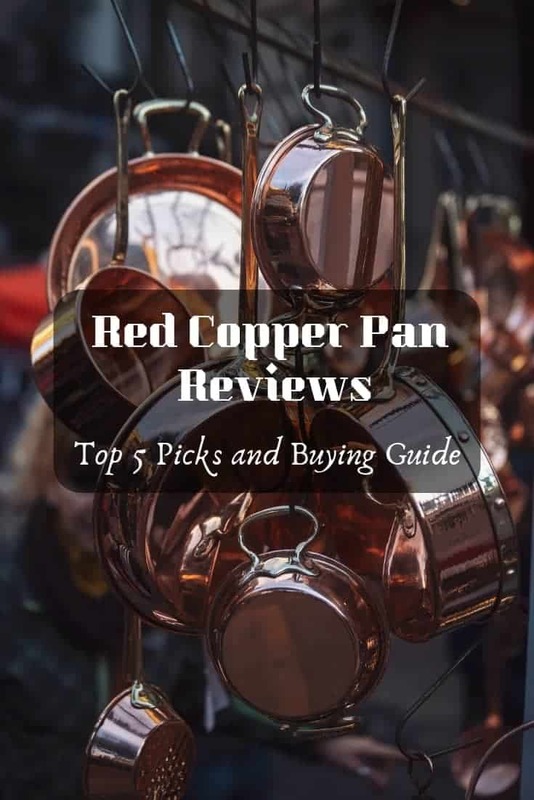 Best Red Copper Pans Reviews! 3. Where Is It Made? 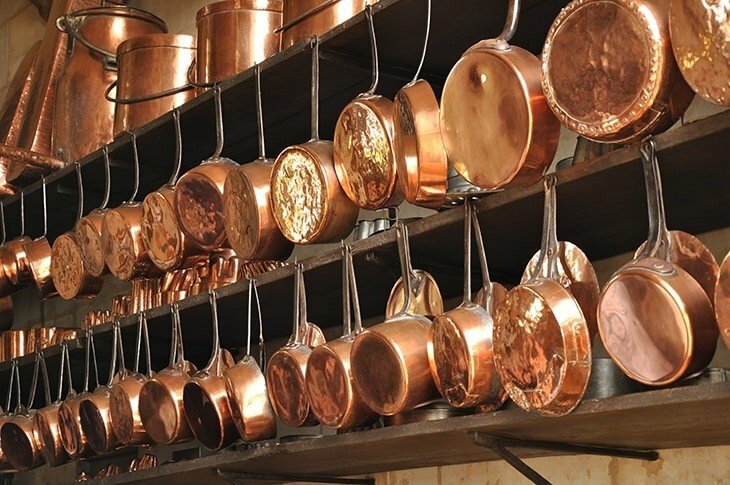 Additional Tips: How To Take Care Of Your Red Copper Pan? 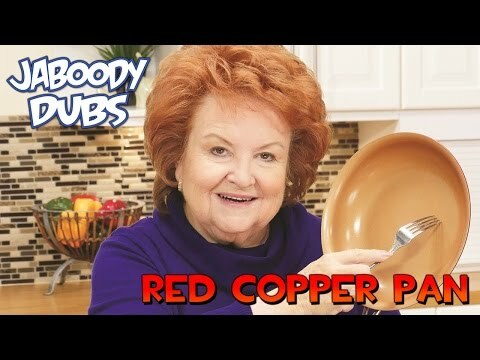 How to season your red copper pan? 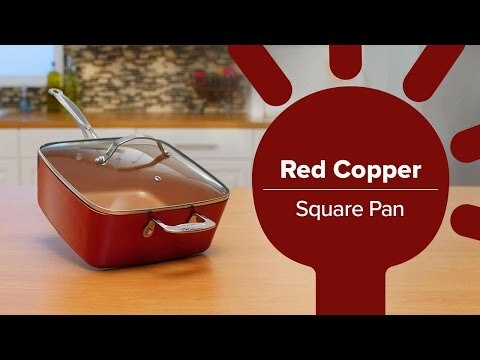 How to clean a red copper pan? Pieces in a Set: 10 pcs. This beautiful set of Red Copper is made by Bulb Head The Home of Bright Ideas. Each piece is wonderfully built to make your cooking more fun & exciting. This collection of copper infused cookware are PFOA & PTFE free, scratch free, high heat resistant & coated with ceramic that will not peel or flake. But what makes this product special is its non stick property where you can simmer or even sauté foods with or without butter or oil. They are oven friendly and can be heated up to 500° F.
Since they are scratch free you don’t have to worry using your dishwasher for easy clean up. They are made from light but durable materials for easy handling and flipping. Pieces in a Set: 5 pcs. Now this one solves all problem in the kitchen an all around cookware. Its square shaped design is ideal for cooking during parties and special occassions where larger volume of food is needed. It is copper infused, highly resistant to heat and good for oven use. The bottom and sides of this cookware is coated with a non stick ceramic bond.This item is constructed without the use of PFOA and PTFE thus making it suitable to use in any form of cooking. It is very versatile and can be used in a variety of ways like frying, roasting, baking, making stew and so on. Actually your imagination is the only limitation for this one. This can be put into a dishwasher for a quick and easy cleaning. Pieces in a Set: 1 pc. Of all the frying pan out there this one I love the most. Aside from the original handle it has a counter handle on the opposite side for easy lifting. This is well suited for meals that needs quick cooking like frying and Saute dishes. It has non stick design, scratch free and contains no hazardous chemical like Teflon. It is oven friendly and highly resistant to heat up to 500° F. It is lightweight and durable making it the perfect partner for most mom. When it comes to frying the more space the better. Because of its unique square design it can do frying multiple burger patties, bacon and chicken at the least possible time. It is Induction Ready so you better prepare your cooktops. It has non-stick ceramic bond that makes it easier to cook even without oil or butter. The Aluminum rings at the bottom side ensures an even heat distribution thus avoiding hot spots. It is scratch free and easy to clean just by wiping with a clean dry cloth. Pieces in a Set: 2 pcs. With its 10” and 12” size well that’s a lot of room for cooking. It is durable and light by design and can handle a large amount of food at one time. These copper infused fry pans are highly heat resistant & can be used for high temperature cooking up to 500° F.
They are scratch free with hassle free cleaning and maintenance. It has two handle design for easy lifting and handling. Definitely these are one of the best Red Copper Frying Pan. 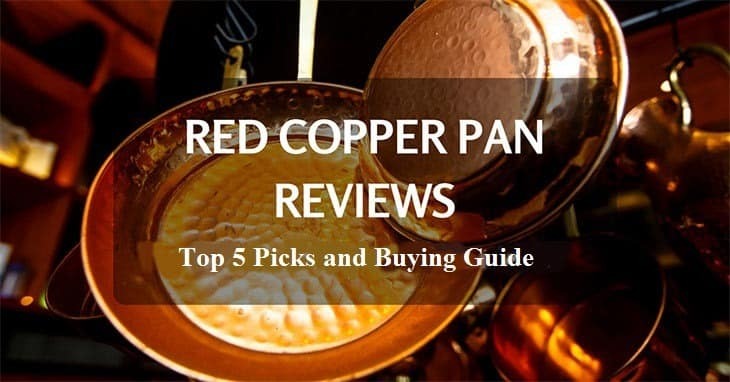 Red copper #pan reviews– top 5 picks and buying guide! #kitchenreviews Get your best cookware. 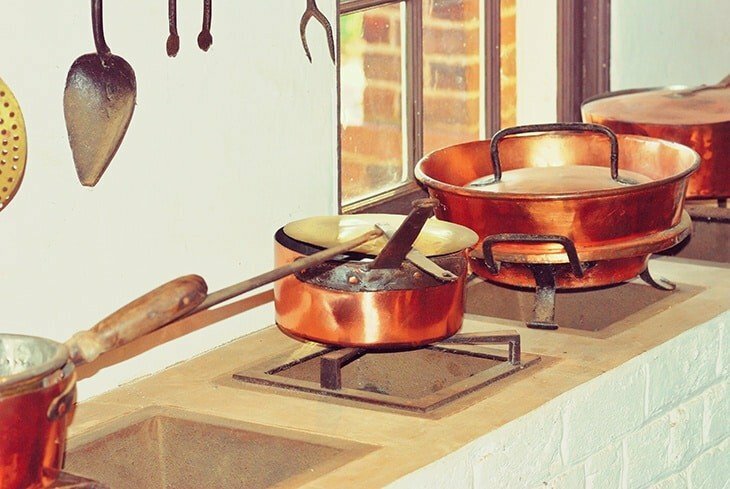 These pans probably is the newest innovation in the copperware world. It is not pure copper that others may think, it is actually a copper-infused Aluminum with ceramic bond. Its popularity comes from its non-stick properties that most of us are dying to have in our kitchen. 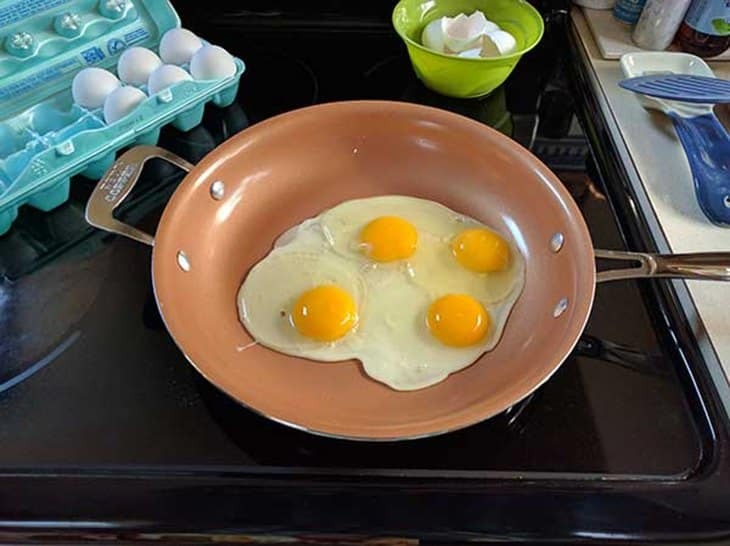 It is the pans main selling point and we love it maybe because we don’t want food sticking our pan anymore especially eggs. Most chefs by experience knows that copper made cookwares are one of the best utensil for cooking. Aside from being a good conductor of heat, it has a precise and even heat distribution throughout the whole cookware. It is also temperature sensitive and can easily dispense heat thus giving you a precise amount of heat while cooking. They are very durable and lightweight by design. It is oven safe and can resist heat up to 500° F. It is scratch free and can withstand cooking abuses like Flambé without getting any damage in it. It is free from health hazard chemicals like PFOA (Perfluorooctanoic Acid) and PTFE (Polytetrafluoroethylene) which are found before in non stick pans and pots. Well all things have Pro’s and Con’s I think. It is a good thing because we can measure up things on how ideal and useful they could be in our lives. With the Red Copper Pans’ case, by having its Pro’s & Con’s we can weigh and identify if it can benefits us optimally or rather becomes just a waste of money. Lets check it out it out one by one. A pure copper pan is so expensive that is why the Red Copper Pan which is copper-infused is the best alternative of it. It is cheaper and you will still get the same cooking benefits from a pure one. Heat is evenly distributed throughout the entire cookware. It conducts heat efficiently resulting to a better texture of you food when done cooking. Well this is the best part of this thing and you will be having no more troubles with your sunny side up every morning. One good thing about this pan is that it is capable to adjust in a sudden change of temperature. There is no hot spot in this I could say and It can heat up and low down fast without wasting too much fuel during cooking activities. Since it is non stick you will be having no troubles cleaning it. Just wash and then wipe it with a clean cloth, then finish. It is constructed from a highly durable material that can withstand abuses from cooking to cleaning. It was designed for easy lifting, flipping and handling while cooking. Red Copper Pan has high resistance to heat for about 500° F and can used in oven cooking. The non stick property comes from Ceramic bonding not from Teflon or PTFE. So it is safe to use in cooking. During cooking the heat travels to the stainless steel handles so it is too hot to hold. The same goes with the lid. There is plenty of Non Stick cookware that offers same benefits of the Red Copper Pan at a lesser price. The more it gains popularity the more expensive it becomes, maybe it is because of the continuing demand from consumers that make it more pricey than the others. Finding the best pan in a wide range arsenal of cookware in the market sounds frustrating right? It’s like finding a loss needle in a haystack. They are all almost alike with a little less difference with each other. But there are ways on how you can choose the best, take a look at this. The thicker it is the better especially when it comes to cookware. You have to check the technical aspect of the product, it includes thickness in millimeters and how much it weighs. The thickness of the item is directly proportional to its durability & how long will it last. 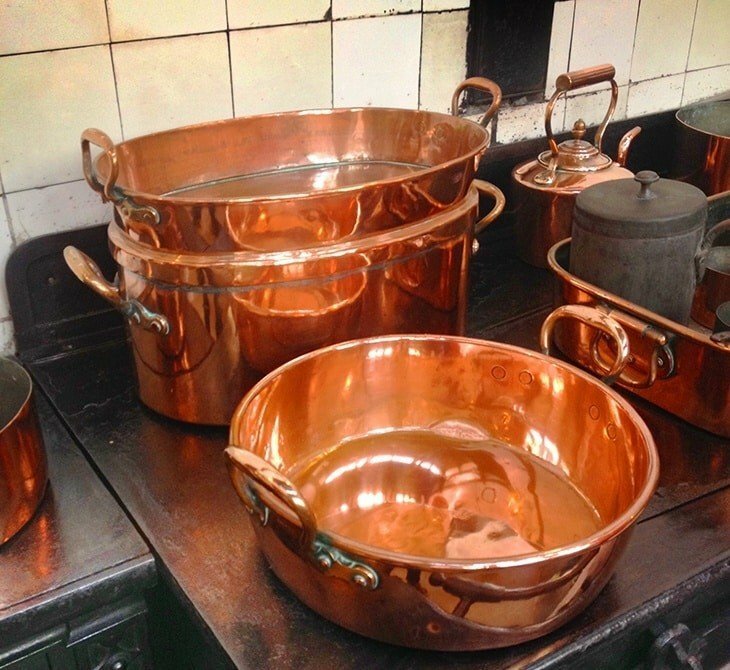 The appearance and finishing must also be considered when choosing your Red Copper Pan. It should be pleasing too in the eye as I would say. There is a lot of design that you can choose from at your own preference as long as it will not affect or lessen the quality of your pan. Check for the interior, exterior coating and the handles which makes the overall appearance of your Red Copper Pan. When choosing your Red Copper Pan be sure to check also where it is made because there is lot of imitation and substandard products circling in the market today. Check for the labels or if purchasing online make an inquiry first of the manufacturer's name and credibility to avoid return or disappointment. Not all of these pans are induction ready so be careful about it you are using Induction Cooktops like the Induction Hob or Induction Stove. Anyway you can still use it but make sure to place it on top of a ferromagnetic disk that function as a conventional hotplate. There is nothing much to tell about this, as long as you can afford it then buy it. As I have said there is a lot of cheaper products out there you can choose from. Actually it is a common mentality that when it is expensive it has better quality than cheaper ones. I usually don’t agree on this but when it comes to cooking wares especially these pans, I think it’s true. These tips are meant to prolong the life of your pan and you might find it useful in your everyday cooking. 1. Your pan is ready to use and it doesn’t need seasoning as we do in our cast iron cookwares. However, Non Stick coatings wear off with time so I suggest to season it anyway to prolong its non stick life. 2. Use plastic or wood utensils to avoid scratches on your non stick pan. Even though they marketed it as scratch free, it is wise to use utensils that can not harm or damage your non stick coating to prolong its life. 3. When washing let it cool first, metal tends to react to drastic change in temperature and may cause an early appearance of wear and tear. 4﻿﻿. Wash it gently using sponge, but some prefer to wash it using their hands. 5. Try to avoid cooking in extreme heat or temperature to avoid scorching of food that may leave sear traces in your pan. 6. Avoid putting something on top of your pan during washing, eating utensils like fork and spoon could damage your coating. 7. When stacking and not in use, it is better to place a protective between them. A piece of cloth or a pan protector would be a good choice. It is said that these pans do not need to be seasoned but doing so will not hurt a thing. 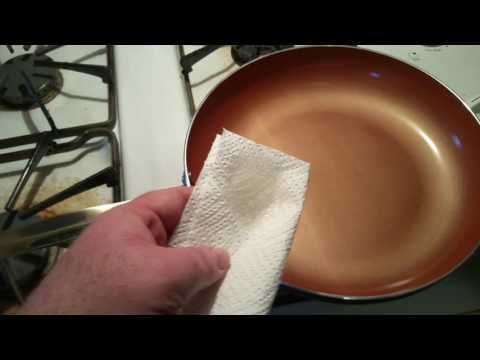 To season the pan you can take some vegetable oil, put it on a paper towel and then wipe the pan down. After that put the pan in the over at 100 degrees for about 20 minutes. Remove the pan from the oven and then let it cool. 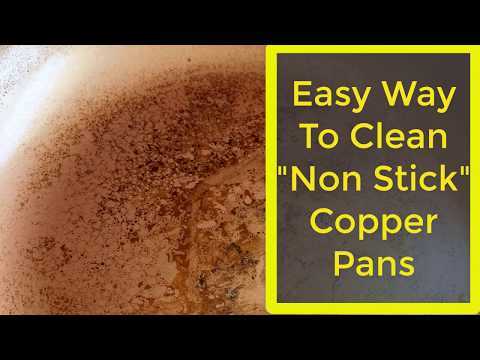 If you red copper pan has residue that isn't coming off after soaking, here is a quick and easy tip that will clean it up perfectly. Let it sit for at least a couple hours so it can do it's magic. Wipe it clean with a wet rag or cleaning sponge and wash.
Red copper pans are considered safe pans to use. These pans are created using safe products and don't contain any harmful materials or harmful toxins. These pans do not contain PFOA or PTFE, so you can feel safe feeding your family from these pans. The Red Copper Pan is truly a fantastic product. It is no shock to us that these pans have gained such acceptance in the market. The Copper infused design they have is far more excellent than the other non-stick products I’ve seen in the market. Indeed an innovation in the copper cookware world. Among the list we have, I choose Red Copper 10pc Ceramic Cookware Set by Bulbhead Ceramic Copper Infused. It is a collective set already and has different sizes of choices. So hopefully, these red copper pan reviews have helped you decide. For any comments and suggestion feel free in our comments section below. request comes through. You can create a dropdown field in submit form for types of contact requests. build with all-in-one marketing platforms like HubSpot. to speak with our management team. Look at configuring automation that alerts support, sales and other stakeholders as part of your company when a message request comes through. You should build redundancies so contact requests (important ones!) don’t get lost in a single recipient’s inbox. without money if you choose. They are regulated by electronic micro generators called random number generators. Many travelers who come to Singapore are either with a stop over or business trip. I am really thankful too the holder of this website who has shared this fantastic paragraph at here. daily, this site is in fact good and the people are truly sharing fastidious thoughts. provide freedom from varied kinds of diseases. that are popular with young boys, ride-on toys would always be a portion of any child’s playtime menagerie. According to Ayurveda the obese persons tend to be at risk of the following diseases. a popular sign the contractor has been doing an excellent job. enough heat anymore, this produces several discomfort contained in the house. internet site, utterly outstanding articles.